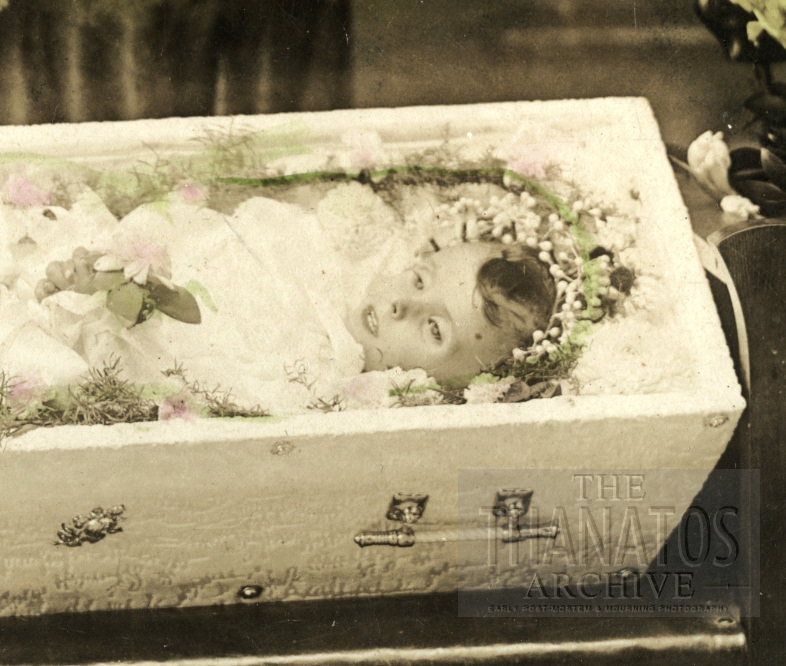 Close-up of a little boy in his casket, surrounded by many funeral flowers. The full uncropped scan and additional info is available on our website, here. If you are unable to view, you can subscribe to The Thanatos Archive here.